Unibet Casino will be available in New Jersey in the first half of 2019. 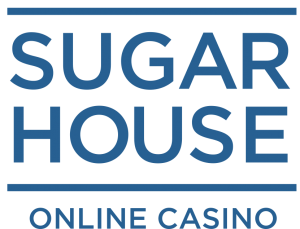 This casino will operate as a sister site to Hard Rock online casino, which opened its virtual doors in July 2018 and is powered by Gaming Innovation Group (GiG). Just like the Hard Rock online casino, the new Unibet site will rely on Evolution Gaming when it comes to live dealer games. Evolution operates Unibet’s live casino games in Europe, so we expect this section of the casino to be fleshed out right from the get-go. Judging by what is available at Hard Rock online casino, new customers of Unibet NJ can anticipate a standard 100 percent, first-deposit match bonus, up to $1,000. This bonus is likely to come with a 30x wagering requirement, so a player depositing $100 would have to wager at least $3,000 before cashing out. High-volatility games are guaranteed to contribute significantly more toward clearing this requirement than low-volatility games, such as blackjack or video poker. If the Unibet bonus is modeled after the Hard Rock promotion, expect slots to contribute 100 percent and other games at 20 percent. At this time, we have no details on the Unibet casino bonus code. Unibet’s European casino is powered by software supplied by 28 companies, including IGT, Microgaming and NetEnt. In total, Europe-based customers have access to well over 800 games. We don’t anticipate Unibet NJ launching with such a large suite, especially since it’d overshadow Hard Rock’s offering. But we can nearly guarantee the new casino will offer a comprehensive selection of slots, table games and live dealer games. In total, Unibet has 729 slots at its disposal. Judging by other NJ casinos, we expect at least 200 of them to be available at Unibet NJ’s launch. Most of the slots will likely be five-reel games with multiple paylines and modern bonus features, such as free spins or pick ’em rounds. There should be variety in terms of available themes, especially since they have access to games based on popular entertainment licenses, such as Game of Thrones, Terminator and Tomb Raider. The site should also offer a few timeless casino classics, such as Cleopatra, Siberian Storm or Da Vinci Diamonds. 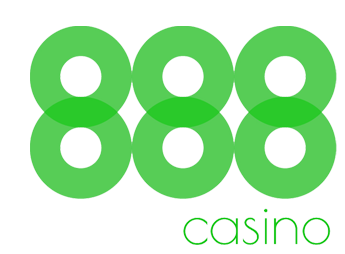 About 10 percent of all Unibet slots in Europe come with progressive jackpots. Judging by Hard Rock casino’s offering, we expect this ratio to continue in New Jersey. The largest jackpots are likely to be worth well over $500,000, while the smaller, local prizes will probably fall within the $5,000 to $50,000 range. In Europe, Unibet customers have access to 56 table games. Most of them are variants of blackjack, tri-card poker, roulette and baccarat. With only one craps variant and one specialty game, the selection of dice games is inferior. We expect the New Jersey casino to follow the same pattern, with slightly fewer games available on day one. Unibet has been very slow when it comes to expanding its limited selection of video poker games, and we don’t expect the NJ casino to break this trend. We anticipate the new site to offer between five and 11 video poker options, most of which are likely to be variants of jacks or better, all-American and deuces wild. It’s possible that bonus poker, double bonus poker and double double bonus poker will be a part of the new package, depending on Unibet’s commitment to match Hard Rock online casino. In Europe, Unibet is known for a robust selection of live dealer games, especially when it comes to blackjack, roulette and casino hold ’em. Unibet’s parent company, Kindred Group, has a live casino partnership with Evolution Gaming. It also operates the live dealer games at Hard Rock online casino. Consequently, Unibet NJ will very likely offer the same suite of games as its sister site (e.g., baccarat, blackjack, roulette, tri-card poker and ultimate hold ’em). If that’s the case, the games will be available every day from 11 a.m. to 3 a.m.
Unibet software supports slots tournaments, and the European casino takes full advantage of this fact, offering daily and monthly events with the prizes ranging from about $6,000 to about $80,000. Unibet NJ is very likely to offer similar functionality. Casino tournaments have grown to be one of the identifying features of the Unibet brand. Nevertheless, the new casino is likely to offer smaller prizes due to the diminished size of the player pool. Unibet offers two downloadable mobile apps in Europe and is likely also to include them in the New Jersey package. The iOS app would be available in Apple’s iTunes store, while the Android version would have to be downloaded straight from the Unibet NJ site. The existing apps are compatible with more than 150 slots from Unibet’s library. Titles include a few jackpot games, such as Mega Moolah and Mega Fortune. The number of games available in New Jersey is likely to be lower. We’re sure it will focus on moving mobile-friendly games to the new site first. Unibet’s mobile apps are compatible with Evolution Gaming’s live dealer games. It’s impossible to predict whether they will be available in New Jersey at launch. Withdrawals will likely occur via bank transfers and ACH transfers. Players should be able to deposit and cash out at the casino cage at Hard Rock AC. Hard Rock guarantees all withdrawals will take two business days to process. Also, we expect Unibet Casino to adhere to the same standards as the New Jersey online gambling market.